Colby and Noah meet in unfortunate circumstances. She is face down in the snow when this perfect specimen of a man skis up to help her out. Still smarting from her last romance, Colby fights all of her attraction to this hero. Noah has never seen a more beautiful woman in his life, but she darts off before he can exchange numbers/information with her. They each call in the favor with the Sullivan family to try to track the other down. This is a really sweet story made even better by the narration of Eva Kaminsky. 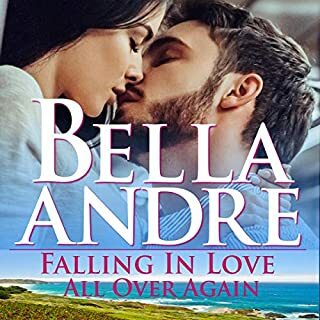 If you enjoy one of the many books by Bella Andre or sweet romance with a little bit of sexiness, I think you'll enjoy this book. Is it worth the credit? I would recommend waiting in purchasing it during the 50% off sale, as I did. I'm glad you read my review. If you found it helpful, please select &quot;yes&quot; below. Also, consider following me on audible. Thank you! The narration was great. I always love Bella's books. They never disappoint me. Always a hit. Wowzers. This was sooo romantic and just the right amount of sweet with a dash of dirty. The only downfall? I wanted more. The narrator wasn't my favorite but that's only a personal preference. I would of liked a more depth in the characters and their story. I love the Sullivan family. it is a bit hard to connect the dots of who and what family they belong to and how they are related. The family tree isn't clear. I'm always amazed how each story becomes better and better, and yet is amazing on its own. Please send more and more of your fertile mind to those who cannot wait for more! It is a fun but way too short romp. I was left going where is the rest of the book. Don't waste a credit. Wait till thi is on sale. Would you listen to One Perfect Night again? Why? Loved the story. Enjoy mixing stories and characters. Great Narration. Love at first sight. Lust at first sight. One perfect man and a woman not too scared to risk her heart again. Is the same formula Ms Andre has used time and time again with her Sullivan family series. Colbie and friends went on a ski trip. 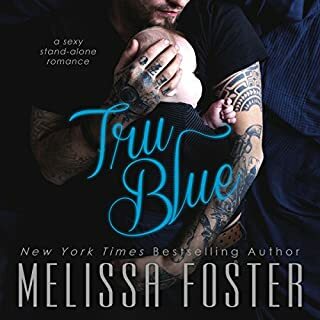 Colbie is nursing a broken heart courtesy of her cheating ex- boyfriend. Our heroine is not too keen on going down a steep hill on a pair of skis, Colbie attempts to 'save' a little girl going too fast but falls as she attempts to stop the child from getting hurt, but to her dismay the little girl didn't need to be rescued at all. Noah, our heroe comes to assist Colbie and wouldn't you know Colbie tries to get up, stumbles and there's Noah on top of Colbie and you know the rest. A feel good kind of book. That's all I wanted. The narrator, superb. I really enjoyed listening to Ms Kaminsky. No story line. Short. Without interest or intrigue. Audible did not allow me to return for refund as advertised. Total wsate.